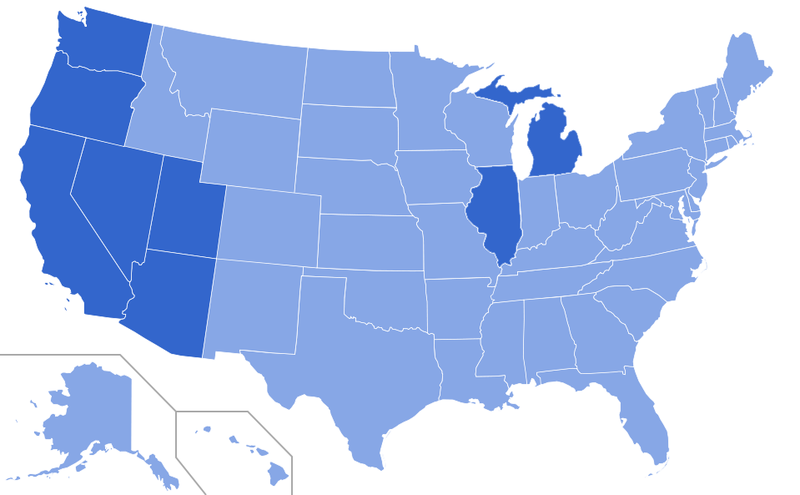 We offer our standard and surplus lines products in Arizona, California, Nevada, Oregon, Utah, and Washington. We offer Renter's Insurance in Alabama, Arizona, California, Colorado, Georgia, Illinois, Indiana, Nevada, New Mexico, North Carolina, Ohio, Oregon, South Carolina, Tennessee, Texas, Utah, Virginia, Washington and Wisconsin. We offer products for the Self Storage industry nationwide.